Well then, it’s been six months since my last blog post…no excuse…just caught up in the frantic pace of running a garden. So here goes, I’m going to try so hard to keep this up with at least two posts a week. 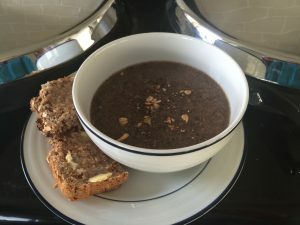 I’m feeling rather toxic after my Christmas food and drink binge – hence I’m trying to cut down on the bad stuff and trying to add a few more healthy ingredients to my shopping list. 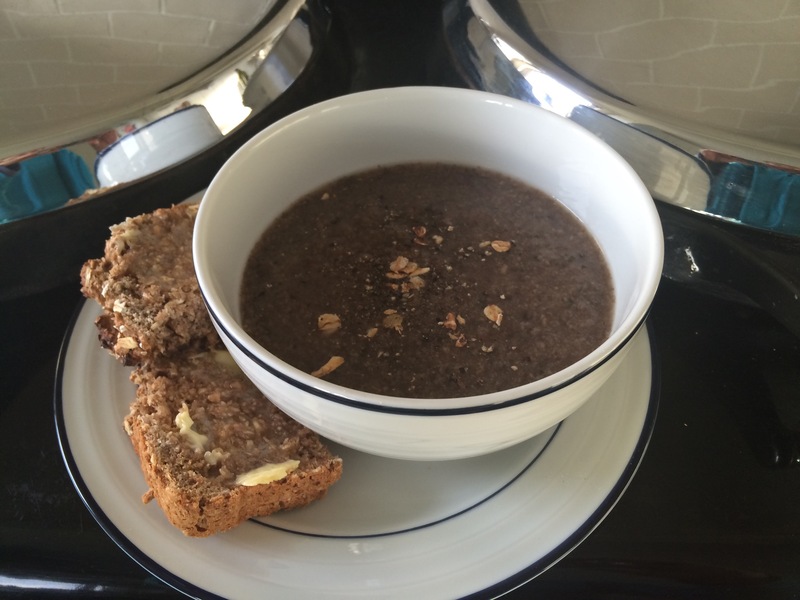 So here is this week’s spicy mushroom soup recipe – perfect for a cold winter’s day! The Guinness bread will follow later in the week. Mushrooms are often overlooked as a healthy source of nutrients but recent studies have shown that they are packed full of antioxidants – adding the onion, garlic, chilli and thyme helps to boost your immune system. I try to use organic ingredients when possible. Add the mushrooms and fry for another 5 -10 minutes, stirring as they soften. Add the chilli flakes, pepper, garlic and thyme – the more you add, the healthier your soup will be! Add your stock, bring to the boil then simmer for approx 20 minutes. Blend until smooth and add some water if it’s too thick. Enjoy!